A group of hipster gin makers came close to creating chaos after they accidentally made mustard gas while trying to concoct a new flavour. 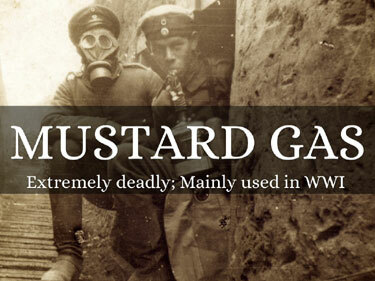 Workers from Sipsmith distillery, in Chiswick, west London, were attempting to create a mustard-flavoured drink but instead made the dangerous chemical agent, famous for its devastating use in World War One. The firm, founded by Fairfax Hall, Sam Galsworthy and Jared Brown in 2009, evacuated its plant as soon as the blunder had been detected. the Archives of Never Yet Melted in the 'Mustard Gas' Category.